College admission requirements can be a pretty tricky. Each school and each person’s situation is unique. That is why we love hearing questions from our readers in the Peterson’s family. Our experts are here to help you succeed every step of the way. If your question wasn’t answered in this section, let us know. I was wondering how GPA is weighted for college applications. In my school at least, a 4.0 was the highest possible average for a person taking college prep classes, and 4.1 with all honors classes or AP classes. To get a 4.0 or a 4.1 you need to have a 98% or above. While investigating colleges I found that for the most competitive schools, such as Cornell, Duke, and Johns Hopkins, the average high school GPA is about a 3.85. In my school this would roughly translate to be a 96%. I find it hard to believe that the average GPA of incoming students is so high, considering that I only have a 3.6 cumulative GPA (91.5%). Even on averagely competitive schools, such as the college of william and mary, the average GPA is 4.0. As with many topics related to college admissions, the issue of GPA calculation is complicated by several factors, including high school differences in the ways in which GPAs are calculated and weighted, and college policies on unweighting, reweighting, and reporting average GPAs. Colleges will look at your transcript in relation to your school’s grading and weighting policies. That is more of interest to them than their overall average, or your GPA compared to GPAs of other students at schools that weight or don’t weight GPAs differently. If you attend a school that doesn’t weight (meaning adding a percentage, points, partial 4.0 scale points, or a multiplier factor to your grade received in an honors, accelerated, or AP class) and/or grades very hard, then the college will take that into account when examining your transcript and the school’s “school profile” which explains the policies and how you fit relative to your peers at your school. Students who attend high schools that grade easily or weight heavily (for example, raising a grade in a class by half or even a full grade for an AP or honors course!) might find that colleges will unweight those grades in the admission process, and then possibly reweight them according to their own formula in order to arrive at a more standardized, comparable GPA across schools. It is important to remember that the difficulty of your curriculum is important, and will be appreciated by colleges even if your high school does not weight, or if your grades are somewhat lower because you took harder classes. In doing so, if you find that your GPA seems low compared to colleges for which you seem a match in general, don’t be too concerned. If your SAT/ACT scores are in the right range, and your class rank or decile seems in the right range, then your courses and grades might also be in the ballpark. At the schools your mention, Ivy League and other similarly competitive places, those GPA averages are real. Yes, there is a spread, but, yes, places like Duke, Cornell, and W+M are seeing thousands of applicants with nearly perfect grades and high test scores. That’s why the competition at that level is so tough. Most colleges do NOT require SAT Subject Tests. The colleges that do require them ask for two or three, and these are typically the highly to most competitive/selective colleges and universities. You can easily find out if the schools in which you are interested require or recommend SAT Subject Tests by looking at the admissions requirements on their Web sites. If they need them, then, yes, you should take the SAT Subject Tests in October or possibly November. October scores are usually accepted for ED/EA, and November scores often are. If you find that you need them, and need more time to prepare for them, then you might not want to do ED/EA, even though colleges will often review your applications for Early Decision/Action if they know you are taking the Subject Tests sometime later in the year. However, you will be at a competitive disadvantage compared to those students who are submitting a full complement of scores. Our rule of thumb with SAT Subject Tests, whether or not particular colleges require them, is that if you can do well on one or more tests, you should take them. This can only help your applications by showing more content mastery in particular areas (maths, sciences, languages, histories, etc.). If your son has succeeded despite his learning disability, and has strong coping and compensatory skills that have helped him achieve strong grades in high school, then sharing his story with colleges can help tell an even more impressive story about his accomplishments. They will not admit or deny admission based on the learning disability, unless they truly believe your son will not do well at their institution. And, if that is the case, it’s better to find that out now. We tend to feel that if a college denies a student admission based on something like a learning disability, then it is probably not the right place to go in any event. We have found that many colleges appreciate students sharing their own stories about how handling their learning style has impacted their development, their experiences with schooling, and their sense of self-knowledge and confidence for achieving success in college. Sharing a summary of a learning evaluation in the admissions process, either with the admissions committee as a supplement to the application, or with a college’s learning support or academic resource program, can provide more information that helps a college interpret grades, standardized test scores, teacher comments, and peaks and valleys in individual course performance over time. Check with the colleges your son is applying to in order to find out if they would like this information during the admission process, and, if so, whether it should go to admissions or the learning support office. You are right that AP scores are primarily used to obtain college placement and credits once you arrive at a university. Colleges increasingly like to see the scores as part of the admissions process. Scores of a 3 or higher are passing, and a 4 or 5 on the five-point grading scale are more desirable. You do not need to submit scores, and you can withhold them from reporting. You can list the scores on applications (including on the honors and awards, or additional information section of the Common Application), and also request an official score report from the College Board. The more and most selective colleges treat strong scores on the APs as additional evidence of your ability to master course content. Your questions are very appropriate to the selective admissions process for many students. In brief, selective colleges purposely build a diversity of interests and talents into each admitted class. There are no strict quotas or exact numbers on any of the major categories. It is more of the recognition in the midst of reviewing all of the applicants that an individual stands out and the committee sees him or her as filling an important niche in their overall pool. The more you can emphasize passion and commitment to certain interests the more the committee will recognize what you can add to the college. Your concern is shared by a great many individuals who perform well in school and are involved in a number of positive activities. The realistic picture is that the group of the most selective public and private colleges is giving a good deal of weight to applicants’ SAT or ACT results, frankly more than they are willing to admit. But the good news is that out of the several thousand colleges, only some fifty put a lot of weight on test results. Every college in the country has indicated in surveys or direct questioning that the most important factor in admissions decisions is the combination of the applicant’s grades and course selection. The stronger college prep courses you take, especially in your junior and senior year, and the stronger your performance in these courses, the better your chance of acceptance to a quality college. Take those tests that play to your natural strengths and course preparation (for example, you may test better on the SAT Subject Tests if you are a strong student in certain subjects, or on the AP tests if you are taking an AP course). You may also want to research those colleges that make test submission optional. Many good colleges have moved in this direction. In sum, do not disqualify yourself from considering good colleges that suit your interests solely because of test concerns. Many selective colleges do require two to three years (four to six semesters) of the same high school foreign language to qualify for admissions. Others recommend or strongly recommend the same. Some students who have begun their language in middle school are able to finish the third year of their language studies (say, Spanish 3) in 10th grade. Technically, they may then stop the language, though many of the most selective colleges would like to see them continue for at least one more year (Spanish 4 in junior year). The Regents exams (New York State) are not required for college entrance outside New York, but are required for a Regents Diploma to graduate from your high school. There are some colleges offer Early Admission (yes, that’s different from Early Action/ Decision application strategies). Early Admission really means going to college early, sometimes without a high school diploma. A strong example of that kind of program is Simon’s Rock, affiliated with Bard College in New York state. Other colleges, even the most selective, offer admission to a handful of younger students and non-high school graduates each year. 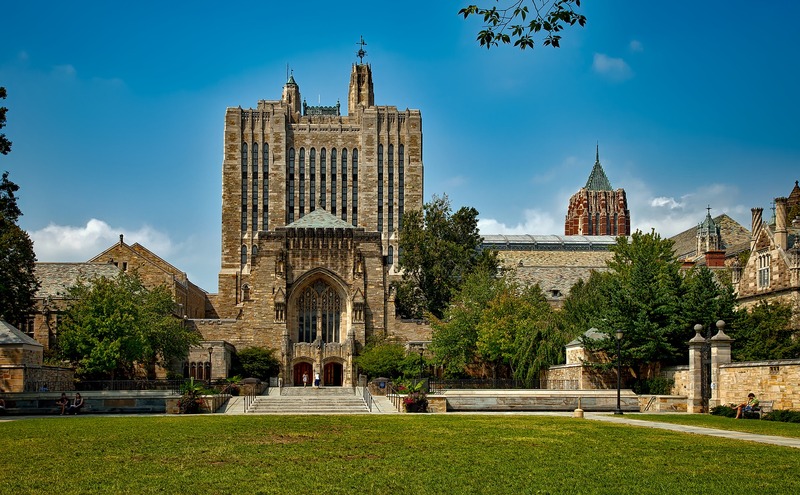 The more demanding a college is for admissions, the more likely it is to require or strongly recommend one to three SAT Subject Tests, even in addition to the SAT. Some colleges don’t require the SAT, but do require SAT Subject Tests or AP scores. The Ivies and their peers (Duke, Stanford, Williams, etc.) require two to three SAT Subject Tests, and treat them seriously. SAT Subject Tests are connected to your high school curriculum, in that the tougher the courseload you take, the more likely you are to be better prepared for the SAT Subject Tests. For example, an honors or AP Chemistry student tends to do better on the Chemistry SAT Subject Test than a student in a high school’s regular chemistry class. The same goes for the other sciences, the histories, the languages, and so on. So, the SAT Subject Tests are, in a way, a confirmation that your difficult curriculum has helped prepare you better for a demanding college program. Not presenting themselves assertively, honestly, and carefully, thereby missing opportunities to connect to admissions officers, make an impact through good interviews or essays, or learn from their interactions with college representatives. No, not if you mean in terms of fulfilling admissions requirements. Sometimes PSAT scores can be used as an initial score for scholarship searches, or summer program admission requirements, but colleges that require standardized test scores for admission will require either the SAT or ACT, and sometimes SAT Subject Test scores in addition to the SAT (and sometimes in addition to the ACT). A few won’t require the SAT, but will require the ACT or a combination of SAT Subject Tests or Advanced Placement (AP) scores. What an interesting set of circumstances from all perspectives. Those colleges that actively seek to enroll qualified applicants of diverse, underrepresented cultures want to learn about the ways in which their diverse backgrounds influence their thinking on social, academic, and societal issues. This of course means that an individual has had an active engagement in his or her native culture, heard stories from family members, visited or lived among the particular culture, and so forth. We suspect that just having a biological heritage but no engagement or knowledge of one’s own culture will not result in college admissions by itself. You may want to research designated scholarship programs for Native Americans that require a genetic tie and nothing further. This is a very important issue. In many instances a student has some major event or situation in his or her life that only a parent can describe and explain its impact on their personal and academic performance. When this is the case, you should feel very comfortable writing a letter to the dean of admissions. We think of the many times it has helped an admissions committee to know about a chronic illness, a serious accident, or the loss of a parent as examples that have had a significant impact on the life of the student. If the letter describes the development of the student’s personal character, courage, or determination to overcome any of these obstacles in order to succeed, then the committee should be made aware of this. We know of many cases where this insight has influenced the decision to admit the student. Your son is doing enough. If he adds much more, he’ll be headed for a serious case of mono, the flu, or a major personal crash. His grades, and thus planning for strong senior year courses, could also suffer, and that’s the number one thing to look out for in college admissions. In the spring, he’ll add standardized testing to his plate. In the fall, he’ll add college visits and applications. Colleges encourage students to focus on a couple of key interest areas and to pursue them to the highest level possible. Perhaps his goal is to make varsity swimming, which could be a significant personal accomplishment for next year. Maybe service and medicine in general are interest areas. If he needs the money, then a job can be important. Another option would be to plan to work in the summer, once his activities decrease in their time demands. You and your son will know what is best for him. It is hard today for many students (and parents) not to get too caught up in the stresses associated with college admissions. Fears over competition, costs, and complexities make many families distraught, even as early as freshman year. We recommend forming a family partnership, focusing on a long-term plan, and reducing stress and anxiety by focusing on real goals, actual deadlines and requirements, and all the exciting options available to students today. Your daughter’s number one “job” right now is getting good grades in tough classes, and pursuing her passions in and out of school. She can focus on other aspects associated with college (standardized testing, visits, interviews, essays, etc.) at a later date. Bravo for your academic success to date. College admissions deans will be mightily impressed with your attitude and work ethic to overcome your hearing disability. Yes, this fact may well give you an advantage in admissions consideration at many colleges. One key question on the part of admissions officers will concern itself with what kinds of accommodations you will need to conduct your studies. You should indicate in communications by e-mail, letter, or interviews with admissions officers what you will need, be it a signer, written lecture notes for each class, or a scribe who writes lecture notes for you as examples. You should be aware of a federal law known as the American With Disabilities Act (ADA) that forbids discrimination in admissions to colleges or in the work place on the basis of a physical disability. So, select the colleges that meet your personal and academic interests and contact them to discuss your interest and your disability. Will you have completed all of the academic core courses that your high school requires AND that a two- or four-year college either requires or recommends for admission? Are you prepared both in terms of academic skills (reading, writing, math levels, time management and organization of work) and social maturity? On average, students who enter college at 16 or 17 find the freedom of campus life and less structured academic day overwhelming. But we also have advised students who graduate early from high school because they are mature and eager to move to a higher level of study and social interaction. You should consider your readiness on both issues to determine if you are doing the best for yourself by early graduation. You could also speak with the admissions representative at several of the colleges that you are interested in to gain their reaction to your personal and academic profile. In recent years the great majority of public and private colleges have a stated policy of accepting the results of either of these two testing programs. Many of the more competitive colleges require both the SAT and SAT Subject Tests (two or three different subjects) OR the ACT (which is more akin to the subject tests). You can easily determine the policy of any college of interest to you by checking the admissions requirements on its Web site. We encourage students to look at practice exams of both test formats to decide which is more comfortable for you. Many roles in many different activities can “count” as leadership. Examples include captaining a sport, being editor of the yearbook or school newspaper, being president of your class or the student government, or serving as head of a club or activity. You can also show leadership (and initiative) by starting such a club, creating a new volunteer activity in your community, raising funds for a cause you care about, or taking on key roles in plays or musicals. If it feels like leadership to you, your peers, and your teachers/mentors, then it probably is. You can find tables to compare the SAT and ACT scores, and see how close they are in range, on many college test prep sites. Some colleges might require SAT Subject Tests in addition to the SAT, and often will take the ACT in place of both, so for those the choice of the ACT is clear. It may be that your math or verbal side scores are higher on one test or the other, so submitting both sets of scores (ACT and SAT) to all the colleges isn’t a bad idea. They will typically take your best scores and use those in making their admission decisions. It is an admissions plan whereby colleges review applications on an ongoing (rolling) basis beginning early in the fall and extending sometime into the spring. You may submit an application beginning usually in late summer, and will hear back from the college often within four to twelve weeks with no commitment on your part to attend. Most public universities use some form of rolling admission. It’s fine either way. Declaring a major is not a full commitment on your part, especially if you are only indicating one or two areas of interest within a liberal arts (arts and sciences) college. You may be assigned an initial adviser based on your major declaration and be guided to take a couple of courses in your major during your first and second semesters. However, you can change that major anytime, and don’t usually need to firmly declare your major until just prior to your junior year of college. It is more of a commitment if you choose a particular college within a university based on a specific major declaration, such as applying to the college of engineering within a university because you think you want chemical engineering as a major, or applying to a college of agricultural sciences because you want to major in a pre-veterinary sciences area. Business, communications, nursing, and education are other common areas of focus that might lead you to a distinct school within a university. Be sure to research what the ramifications will be of choosing a particular school/college and major. Does it make a difference in your admissions chances? Not necessarily. Many liberal arts colleges that are highly competitive report “undecided/undeclared” as in their top three entering majors. Others appreciate you talking about your strengths and interests, but saying you are open to exploring many areas across different majors. If you do have particular interests, and can declare a major or two that reflects on your high school curriculum and other pursuits, that can show a lot of focus and dedication, which can serve you well. Yes. You can consider summer programs that allow you to take courses at a local high school or community college, or particular pre-college programs offered on many college campuses. You can also consider community or junior (two-year) colleges as a first step after high school prior to transferring to a four-year university. Another option is a post-graduate (PG) year at an independent (private) school, typically a boarding school, where you can take higher level academic courses, improve your test scores, pursue activities at a next level, and fill any gaps you may have in your curriculum. You appear to be a very mature and serious young woman based on your advanced course load in the junior year and your many activities. As we have stated in response to a number of students’ questions, the most important factors in acceptance into a selective college always will be the quality of your high school curriculum and your performance, meaning grades, in those courses. Admissions committees will respect you for taking advanced placement and honors level courses, especially in your junior and senior years. They will not excuse okay rather than very good grades because of an overextension of your time and energy in extracurricular activities. Selective colleges strive each year to admit a broad mix of students who have one or several special interests or talents who will help create a well-rounded class of talented individuals. You are at a key point as a junior in making some tough decisions about which activities to continue with and which you could or should drop in order to create a more productive balance between school work and meaningful, fun involvements. Our overriding reaction to your description of your intensive schedule and academic workload is that you are under a lot of pressure. While hard work is highly commendable and important in creating future opportunities you do not want to do this at the risk of your health or crashing from the stress of keeping all this going. Colleges are very interested in well balanced students who have balanced a strong academic course load with some extracurricular activities that they enjoy and excel in. Just working all the time for grades and better test scores will not guarantee acceptance to a selective college. In fact, it can make committees worry that there is little to no balance to your school and personal life. If the AP courses are overwhelming you then consider dropping to a good honors level courses and gain time and perhaps better grades. Your SAT prep course seems to be taking a great deal of your weekend free time. Why not work online to prepare for the admission tests or form a study group with a group of friends for occasional review. Peterson’s and other groups offer online test prep programs that enable you to manage time to suit your schedule. If you worry that you might do something unpredictable, that implies that you are very concerned about being able to keep up your present pace. The most competitive colleges for admission enjoy the luxury of selecting candidates for acceptance from a large pool of talented, qualified individuals. How do admissions committees make these choices then? One of the guiding principles is a determination both of what the candidates will take from the great resources of the college and add to the life of the campus community, both socially and intellectually. This is why many students with exceptional test scores may be turned down in favor of a strong academic performer who does not test as well, but has exceptional personal qualities and talents that make the community exciting and stimulating for everyone. If you have a 4.0 average and contribute in various ways to your high school or community, do apply to selective colleges. If there are specific circumstances that affect your performance on standardized tests, be certain to explain these in a letter that you can submit with your application or explain in an interview. Admissions committees will be sympathetic to critical factors such as these: your primary language is other than English, you have a learning or physical disability that affects the mechanics of taking a test. Keep in mind that a growing number of excellent colleges, though not any of the Ivy League schools, now make test submission optional. These colleges are far more interested in applicants with high grades and talents than test scores. Both Early Action and rolling admissions are non-binding, meaning that you do not need to make a commitment when applying, and you can apply to multiple colleges simultaneously (except for some schools which offer a more limiting “single-choice Early Action” policy allowing you to apply to only to their college EA, and no other ED or EA schools — rolling is permitted). EA policies have you apply by a particular date in the fall, usually November 1, November 15, December 1, or December 15, and then notify you of a decision on or near a particular date. They usually review the EA applications and make decisions in one batch, in other words. Usually that’s in December or January. You may be admitted, rejected, or deferred, which means you’ll be reviewed again in the regular pool. Rolling admissions colleges review applications beginning at a particular date in the early fall, often August 1 or September 1, and then send out decisions on a rolling basis. It may take a few weeks to a couple of months to review your application. You may be admitted, rejected, or deferred, which more state universities using rolling admission are doing these days. There are several main ways to apply to college: regular admission, rolling admission, Early Action, and Early Decision. Regular admission, with most deadlines in January or February, is the most common admission option. You can apply to multiple colleges without restriction, and hear back by April. You have until May 1, the Common Reply Date, to commit to one college. Rolling admission is offered by many state, and some private colleges and universities which review applications on a rolling, non-binding basis, and send you decisions as the fall, winter, and spring progress. Early Action is a non-binding admission option that allows you to apply early to one or more colleges and hear back in December, January, or February. Early Decision is a binding application, with deadlines in November, December, or January, which requires you to commit to attending one college if you are admitted.